When you see her long beautiful coat, you might think Sparky comes from the great white north! Well, you wouldn’t be too far off, as she comes to us all the way from Canada! We’ll never forget the ordeal we had to go through to get Sparky through crazy blizzards and customs and safely to her new home (just ask Brian)! Sparky has a wonderful patient, loving and dedicated personality – and excellent type. With her tiny ears, short cobby body, and tons of coat… we couldn’t ask for more! Thanks to Brian from PurrtyKatz for allowing Sparky to join Persipals! 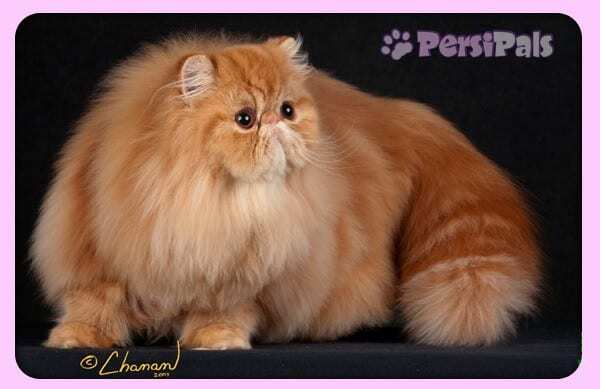 Sparky is a Double Regional Winner, as a kitten and an adult, as well as a Grand Champion. She’s also the jewel of our breeding program! Sparky achieved her Distinguished Merit status in May 2014. We are very proud of this girl! Sparky is now retired and will forever be our cherished pet! Congratulations to Sparky! She is well deserving of her win and boy oh boy what beautiful kittens does she have! Sparky is beautiful and well deserving of her wins.